This film is a true masterpiece. I easily place it within my top 100 films of all time. The story is very human, and while some reviewers think this picture is a critique of faith, particularly the Catholic Church, I do not agree. Yes colonialism had its problems and was a flawed vehicle for the Gospel, but the Indians came to beautiful faith genuinely. Also the priests had an abiding love for these Indians as people, not as mere numbers to add to their scrolls. Real faith is not something which can be forced. And in the end of the movie the Indians and priests give one of the most compelling and loving scenes of martyrdom I have ever witnessed on film. Yes it is sad how they are cut down, but they gain far more than they lose, and in doing so show that true faith cannot be destroyed. 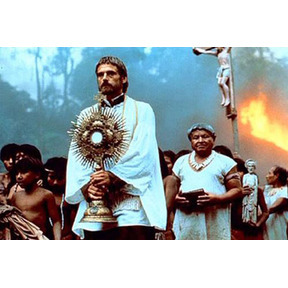 I should state that I'm a Protestant, but I have known priests, and the character Jeremy Irons plays reminds me of several dear priests I've encountered. 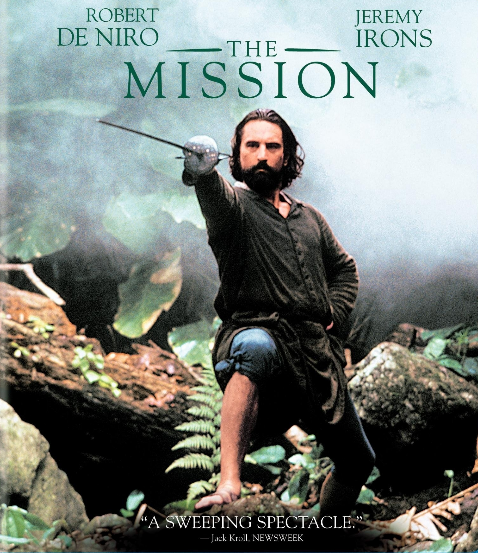 DeNiro gave probably the best performance of his career in this film, the only other contender would be "Deer Hunter". The scene when they reach the top of the mountain and the Indian cuts off the dead weight of the armor (symbolic of the guilt and anguish he'd be carrying over his brother's death) and DeNiro breaks down and expresses sorrow and finally joy it is truly sublime! Ennio Morricone's music beautifully complements the film (both in pacing and detail) and shows his preeminence amongst film composers! I should also comment on the film's lush cinematography. No wonder it won an Oscar for it. You are transported into the heart of the jungle. I recommend this film in the strongest possible terms. Please see it and you will not regret the time spent! Totally agree, Zach. I saw this film about three years ago and it remains vivid in memory.